improving lives and transforming communities one story at a time. 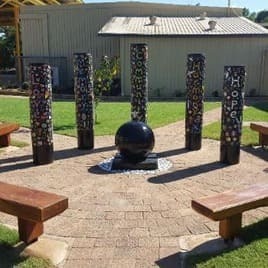 Ironbark Aboriginal Corporation is a leading community development provider to urban, regional and remote communities throughout the Darwin Daly Region in the Northern Territory. Through our programs and services, we are improving lives and transforming communities by giving everyone the opportunity to fully participate in society. We connect communities, strengthen relationships and networks, build life-skills, celebrate and protect culture, and provide meaning through employment. We transform lives one story at a time. The beautification of Humpty Doo Primary School's memorial garden. A group of job seekers have undertaken training in a Mulching and Wood Chipping course that was held in their local community. 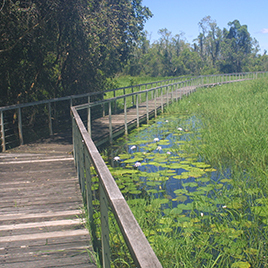 A Community Development Program Work for the Dole project conducted by Ironbark Aboriginal Corporation at Fogg Dam has supported the protection of boardwalks from wild fires which swept through the area. Ironbark Aboriginal Corporation recognises and respects the Traditional Owners and Custodians of the land that we serve. We pay our respects to all Traditional Elders both past and present. We are committed to a positive future of self-determination for Aboriginal people and their communities.